Miles and miles of clear vision with this great value VISORCAT refill pack designed for the professional rider, commuter or touring motorcyclist. Always have a clean sponge – there are six of them in this pack, in a resealable plastic bag to keep in your pocket. Keep them clean and moist and you will always have one ready to slot into your VISORCAT. There are also 2 x 250ml bottles of Visorcat wash to keep in your luggage – use them to top up your pocket bottle, neat or diluted, depending on the conditions. 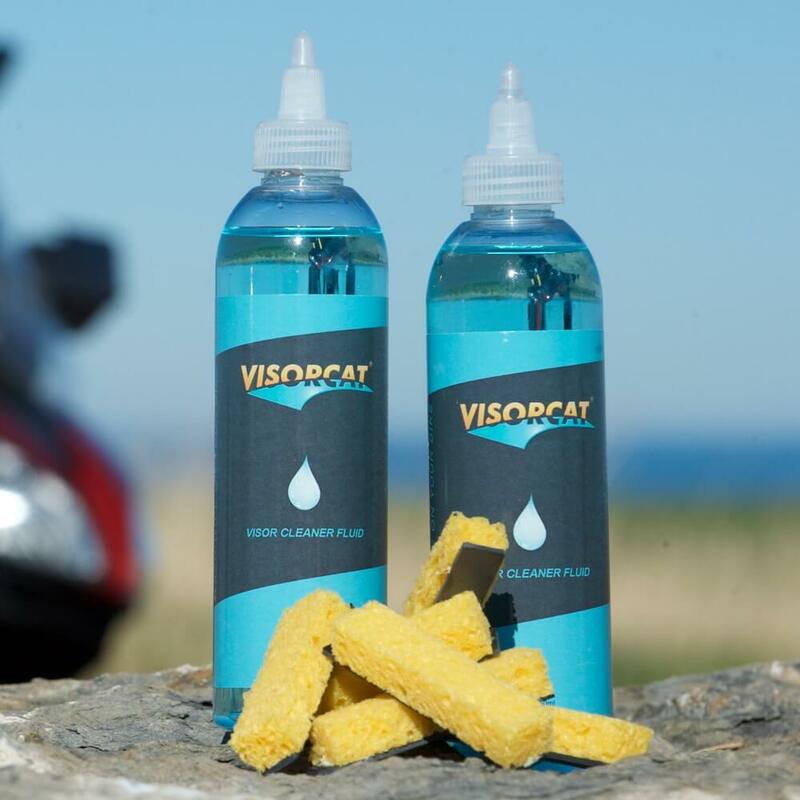 Two 250ml bottles of VISORCAT wash, made for VISORCAT by Shift-It, and two resealable packs of 3 sponges (6 in total). For longer tours or the professional/high-mileage rider. UK post free.